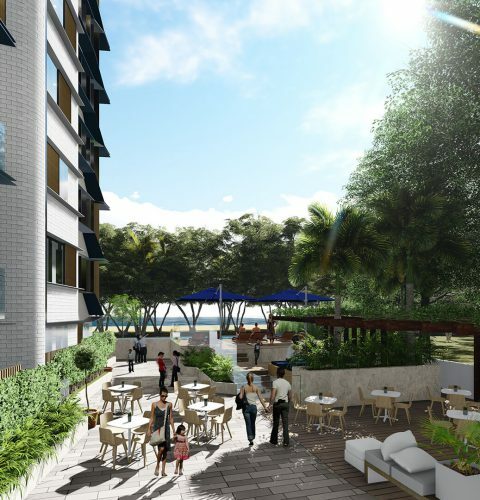 “Elements on Arlington” is to be located in the heart of Clifton Beach, on one of the main street corners facing the ocean. 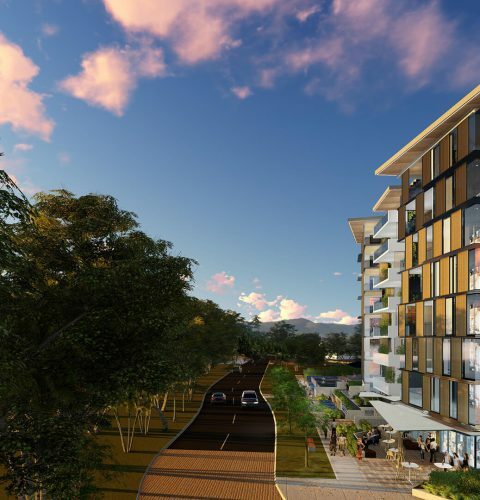 The site is well connected with the Cairns CBD and surrounding beaches by local transport which is available just a few steps away. 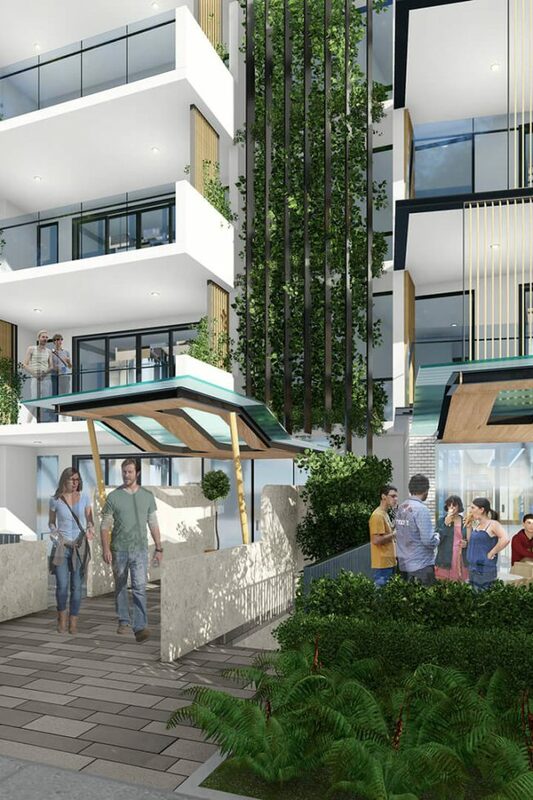 The client’s brief was to create a development suitable for Tropical High-end Living, and CA Architects have developed a design which responds to the locality and environment and provides a benchmark for tropical apartment design in the area. 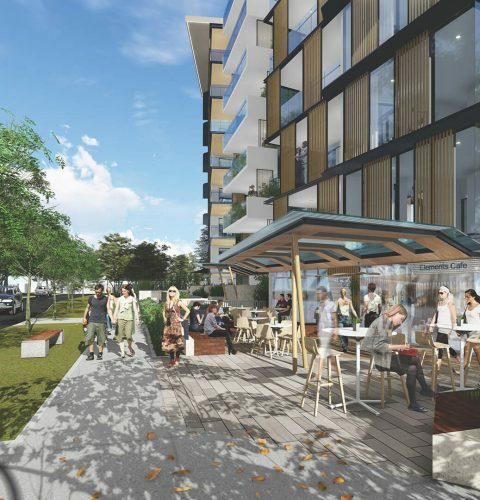 The proposal has been designed to explicitly embrace the principles of tropical urbanism as outlined in the Cairns Plan Planning Scheme Policy. The Architectural response of natural materials, large external entertainment areas, moveable screens and glass creating filtered light, deep shadows, water features, and generous landscaping all work to capture the essence of tropical living. 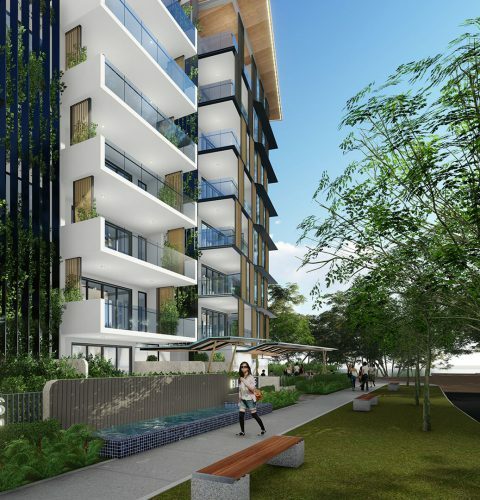 The activated street front covered public spaces and landscaped edges provide a unique, high end residential experience at Clifton Beach.